Hanover Middle East's leadership team to remain following acquisition by Avenir Global, the Canadian owner of PR shops Madano, Axon and Cherry, says regional MD. 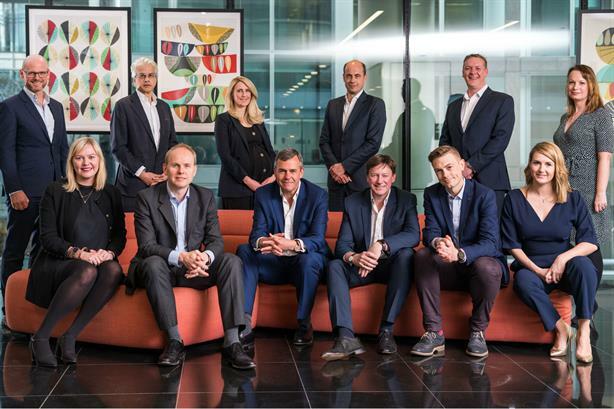 Wednesday’s deal saw Avenir Global take a 100 per cent stake in the business - founded by John Major’s former comms director Charles Lewington in 1998, which currently employs 163 people, with revenue last year of £19m. Hanover Middle East’s leadership team, headed by managing director Jonty Summers, are to remain in place under the transaction which Avenir Global described as "part of a strategic plan to build a global powerhouse of specialist communications". Hanover - which in 2017 acquired Bell Pottinger’s Middle East, leading to the formation of Hanover Middle East, which has operating licences in Abu Dhabi and Dubai - has just marked its second year of operations in the region. "Having just celebrated our two-year anniversary, Hanover Middle East has gone from strength-to-strength since launching in 2017," said Summers. Becoming part of the Avenir Global network will position us to continue to deliver the highest level of strategic support for our clients on a global scale." Speaking to PRWeek Middle East, Summers added: "This acquisition brings a number of benefits to support the work we are doing in the Middle East. It strengthens our research and insights capabilities, expands our digital and corporate communications offering and greatly expands our European market-leading strength in healthcare, which we rolled out here at the start of 2019. "And it brings a whole new dimension for our Middle Eastern clients looking for support in North America. All are going to support our ability to work with clients on interesting projects over the coming years." The transaction follows the Avenir Global’s acquisition of London-based healthcare creative agency Cherry in November and US agency Padilla last summer. Ralph Sutton, the international managing partner at the business, told PRWeek Hanover is "one more important piece of the puzzle" as "we really want to strengthen our skills, strengthening our corporate and public affairs capabilities and also strengthening our geographic reach". "We are building a powerful network of colleagues who are the best in their field and our goal is to provide our clients with bold thinking founded on research, insights and deep sector expertise. "Hanover is hugely respected as one of the best and fastest growing agencies in the world and this transaction showcases our ambitions. In addition to an enhanced geographic footprint, there is a strong cultural alignment, which is critical to our teams working well together." Hanover has offices in London, Brussels, Dublin, Dubai and Abu Dhabi, providing comms services across healthcare, financial services, technology, media, energy, FMCG, industrial and sport. The group also includes creative Lewington, who has now joined the Avenir Global board, said: "We were increasingly pitching for global accounts, but without a presence in North America, where half of all PR spend comes from. We were finding it a bit of a challenge to get on global rosters, particularly in healthcare, which represents 35 per cent of our group revenues. We’ve done quite well growing our horizontal service lines into corporate consumer and internal comms, but many still eluded us. "When we first started talking to Ralph and his colleagues a year ago now we realised pretty quickly that there was a strong cultural fit and the power of good culture and a good strategy is really the driver of our successful consultancy.